November 22, 2017 – In the spirit of the holiday season, this is a perfect time to look back at all of the things - and PEOPLE - who made 2017 great. For the latest installment of our onsite team spotlight, we want to introduce you to Quay, our Sales and Marketing Associate, who we are so thankful for! I’m the first generation in my family born in America, with ancestry in Trinidad and Tobago. I, was born in New York at 1a.m., spent a short time as a small child in Southern Maryland, but would for sure call myself a California girl. I was raised in Southwestern, Riverside County, in a town call, Temecula. I love that The Modern is just a short 5-minute walk away from the Fort Totten Metro Station. Not only can I catch 3 lines from there, but I can grab a quick breakfast at the shop on the way. Besides the convenience of the station, The Modern, has a Zen garden! After fighting your way through the foot traffic, a place for peace at the end of the day, is almost necessary. The Zen garden is a true place to escape, where you can lounge and take in the beautiful garden that’s been curated for the residence. My favorite date night is probably Perry’s near Adams Morgan. It’s a super classy upscale sushi bar with a lovely rooftop. It’s 2 stops away on the yellow or green line, and a few minutes’ walk away if you live at The Modern. DC life is nothing with the food, so if I’m going on a date, we had better be eating! The ID channel at night giving myself nightmares. I also just finished the entire archive of Strange Things on Netflix, and spent a whole two days doing so. Other than that, I’m boring when it comes to tv. I like the cooking channels, Discovery and the Health Network. 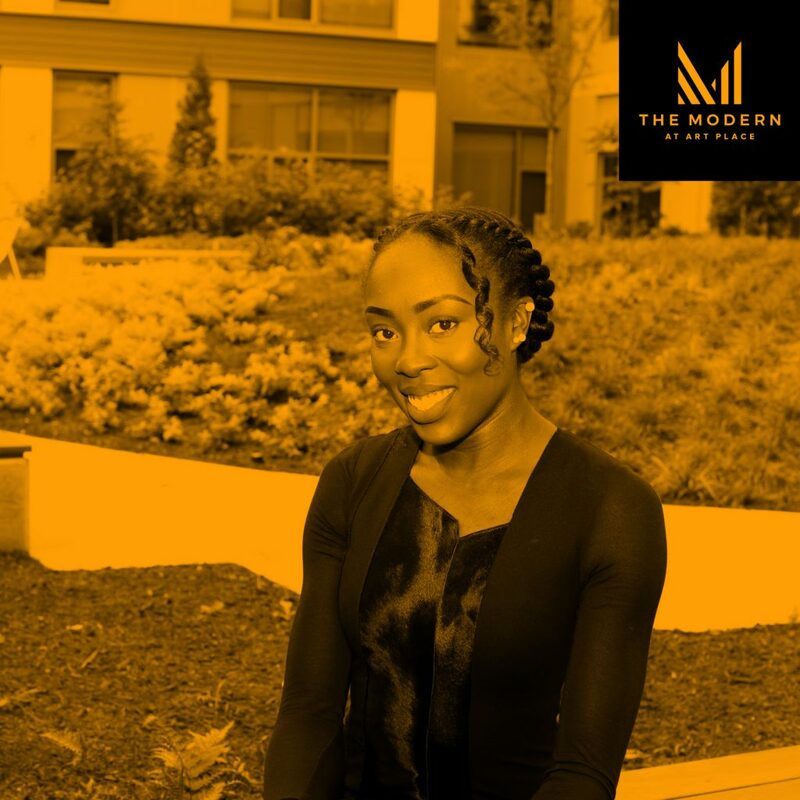 To learn more about The Modern at Art Place in Washington DC's Fort Totten neighborhood, visit us online to book a tour, or give us a call at 240-392-4882. We look forward to seeing you. Happy Thanksgiving!